Even though this stroller has a lot of outstanding features considering the affordable price, there are four that especially stand out. The first one has to be the wheels, which customer reviews tend to mention as well. The wheels are slightly chunkier than the average stroller, which makes it easy to handle on rough ground. The wheels also have ridges, giving them a bit more traction over bumps. Another great feature of this stroller is the ability to use certain elements with only one hand. Parents will find this most helpful if they are trying to adjust the stroller while holding another child. The reclining backrest is one item that can be adjusted with one hand and it has four positions it can adjust to. The stroller also utilizes one-hand fold, which is extremely helpful for portability. The all-weather features of this stroller are yet another high point. Not only does it come with a raincover for those wet days, but the cover is easy to put on and remove. The fleece foot muff matches the stroller and is full-length to keep babies warm on chilly days. The front part also unzips to keep it cooler on warm days. Probably the biggest stand-out feature of the Chicco London Stroller is just how lightweight and easy to manoeuvre it is. It has an umbrella fold, with just one hand, as mentioned, and the swivel wheels help it navigate tight spaces. 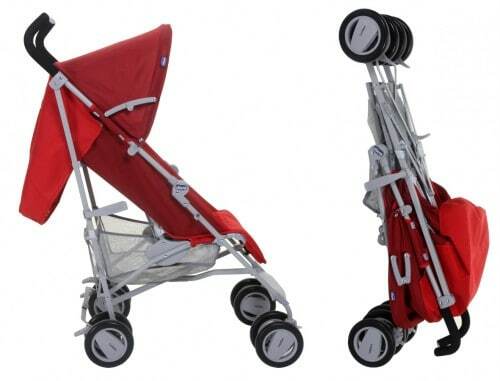 This stroller is ideal for a holiday, easy to get on and off buses or cars. What do other uses think? There are a total of 43 customer reviews of the Chicco London Stroller on Amazon UK as of this writing. The average score given is 4.3 out of five stars. The majority of ratings are five stars, with 24. There are only seven reviews that give the stroller a score of three or less. Two of the most helpful customer reviews with verified purchases on Amazon of the Chicco London Stroller are as follows. 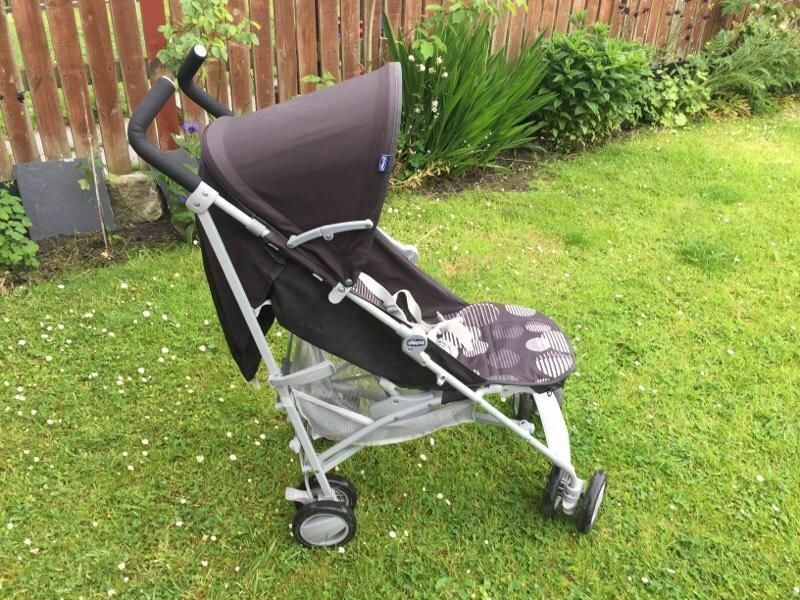 The first customer gives the stroller a score of five out of five stars and says that the stroller is affordable, made with good quality materials, is easy to open and close and comes with both a warm bag and rain cover. The customer adds that “so far there are no bad qualities of the stroller”. The second customer also gives the stroller five out of five stars and says it met all her expectations. She notes that it is very easy to use and move and it fits in her trunk easily. She also likes that it moves easily on rough pavement and tight spaces. 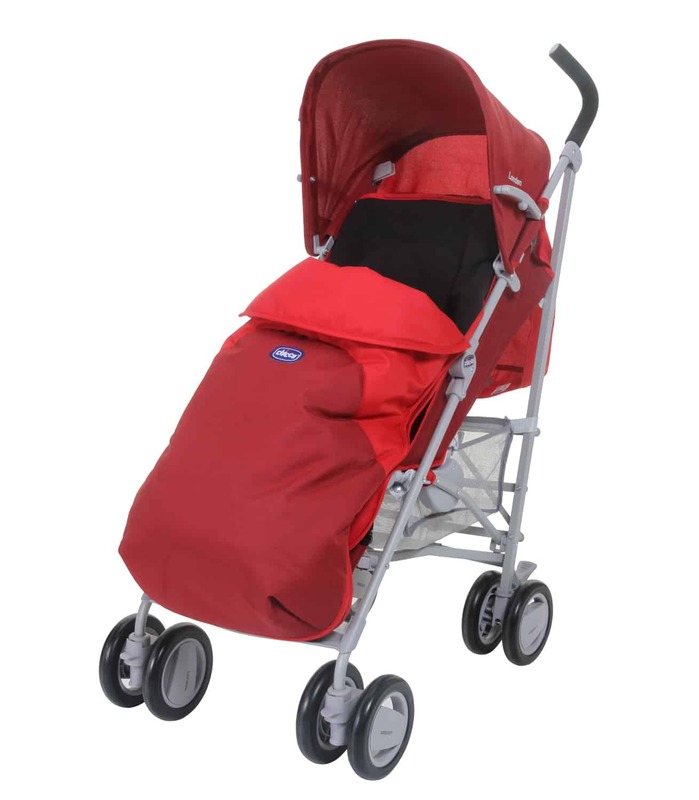 Some customers mention that the stroller hood could be larger to better protect from sun or the elements. 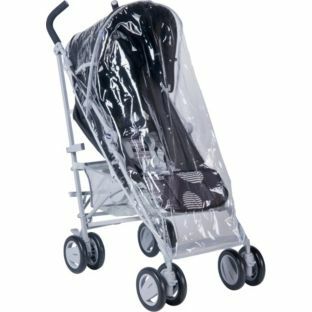 However, on the other hand, a larger hood might make the stroller harder to fold easily and most customers appear to love how easily it folds. Another similar complaint is that “the stroller does not lie completely flat so it’s not quite as suitable for very young babies”. Again though, these compromises with the ease of use seem to outweigh the negatives for most customers. In conclusion, this stroller is largely prized for its ease of use, especially in fold-up, and the number of features for its affordable price. Parents who want something lightweight for extensive walking or taking on holiday would do well to consider this stroller. Because of the raincover and fleece foot muffs, it is also ideal for use in cooler climes.